What I listed at the beginning of the post. 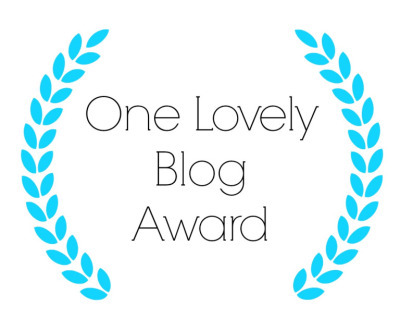 You don’t have to do it, I just wanted to nominate you for being a great blogging friend. That’s fine Richard, I totally understand. Haha, they really are stacking up. I enjoyed reading your answers. Italy is a place I’ll love to visit someday. Italy is beautiful, if you ever visit you’ll have a great time. Thanks my friend you’ve made my weekend. I didn’t know we shared a passion for Italy. Lake Como is my favourite place on earth! You know what they say about great minds? I have yet to visit Lake Como, though I’ve heard it is lovely. Thank you so much for the nomination! My post will be up next week. I’m flattered. I really like what you do on your blog and you are a very nice person. Oh thank you so much for the award😌 I am so honoured! My pleasure Rebecca. I’m all about spreading the love. Haha, good to be on the same wavelength then. Reblogged this on A LOVER'S MUSING. Congrats Vinnie! Oh I LOVE Italy too, such a beautiful country. I went there w/ my hubby almost a decade ago, hope to be back there again soon. It’s a place of grand history and beauty. I too want to visit again. Congratulations (again)! You’re on an uphill roll this week! Naked hugs! An uphill roll is a nice way to look at it. Congrats! I too hate spoilers. Hate ’em. But there are certain personalities who love to know what’s going to happen in this movie or that episode. I don’t understand it. I can’t fathom why people would want to know the ending or plot spoilers. What is the point in watching the film? I love getting these awards, my mantle is fit to burst at the moment. Remakes are immensely repetitive in my book. Much appreciated Amanda. These blogging awards aren’t half special. Thank you for those kind words, Vinnieh. I love Italy as well (1), though I have not been to Rome and Florence for many years. I went armed with a little French and only a school year of introductory Spanish, which gave me enough background to master the entire Italian number system and a few phrases so I could haggle. Since this was a high school trip, we were instructed that this would happen. Someone in Florence still has a Canadian paper dollar bill (we went to coins in 1987, so it’s a real keepsake), and I still have the hand-painted marble picture frame I got at a reduced price in exchange for the souvenir foreign bill. Still got my David statue, too! I agree with your second point about remakes (2). Great post! I enjoyed reading more about you. Italy is an iconic and gorgeous place. I do hope to go there again in the future, would be lovely. I enjoy reading your work also. With the remakes situation, I think Hollywood needs something fresh and jot just a regurgitated formula. Congratulations Vinnie and thanks for the interesting facts. Hi Lloyd. I love getting these awards, but choosing the best facts that don’t sound boring can be hard. You have touched me deeply there. Aww!!! You love all your followers; that includes me 😀 I am touched!! Nothing wrong with crying man, it’s a natural human emotion; and Men are human beings too!! I have cried my heart out, even though mostly when am I am on my own!! Yeah, I tend to put a spoiler alert, if am giving an ending away; or even something close to it. Italy ‘is’ beautiful!! I LOVE Europe, in general, my favourite continent!! Asia comes next!! Australia 3rd!! I haven’t been to any other continents!! But would love to travel, if I get a chance!! And, last but not the least!! Congratulations!! I’m the worst for crying but I don’t care as I’m just expressing emotion. Italy is utterly magical, so many great memories. Oh why thank you! That really made my morning. Vinnie I appreciate your no spoiling films policy! Thanks. Spoilers are needless and honestly who really wants to know what happens at the end before seeing it? Salutations. Nice to hear from you. I enjoy when you visit my blog. You have something interesting and fun to discuss every time you visit. Thanks! I know I’ve been caught up with stuff lately but I promise to come back regularly. There is no pressure. Visit when you want. What would you particularly recommend seeing in Rome? I’ve yet to go myself. Yes, those endless remakes are kind of annoying. Rarely as good as the originals. There’s not enough risk taking on original scripts. The Vatican, The Trevi Fountain, The colosseum. So many things. Hollywood needs some original thoughts once in a while. Thanks for the suggestions. I definitely need to visit Rome. At least once in my life. It’s a beautiful place. You won’t regret it. Cool info. You are one of the best bloggers around. I have this image of your detention being like The Breakfast Club. Thanks for that lovely comment Alex. You’re a cool dude. If a movie is emotional and convincing, I will definitely cry. That’s the power of cinema. Cinema can accomplish so much, really quite incredible! The next time I get an award, you’ll be the first person nominated. Well it is only right, you’ve been such a good friend on here.